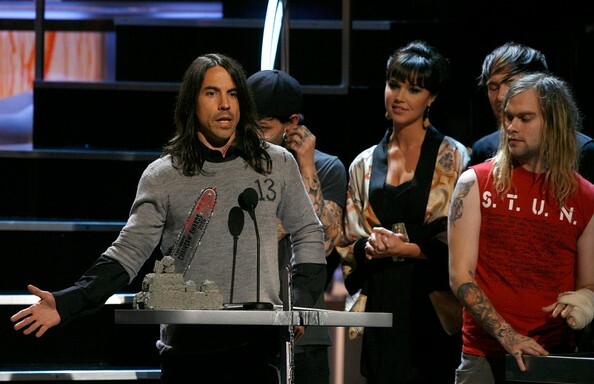 Info: Fangoria is a genre magazine for horror movies and in 2006 it teamed up with Fuse TV to present its annual awards in a TV format for the first, and only, time. 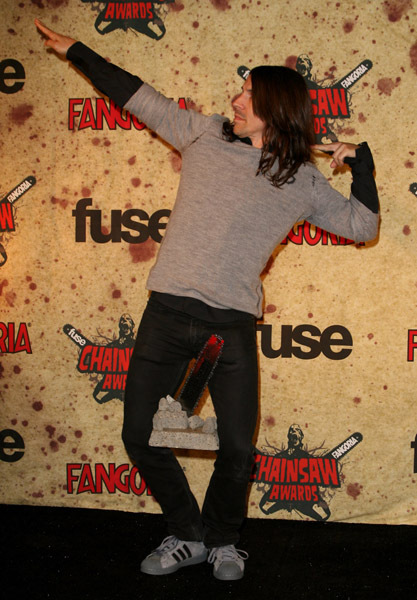 Awards were fittingly, chainsaws attached to a cement base. 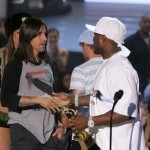 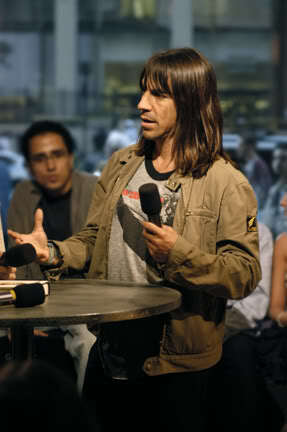 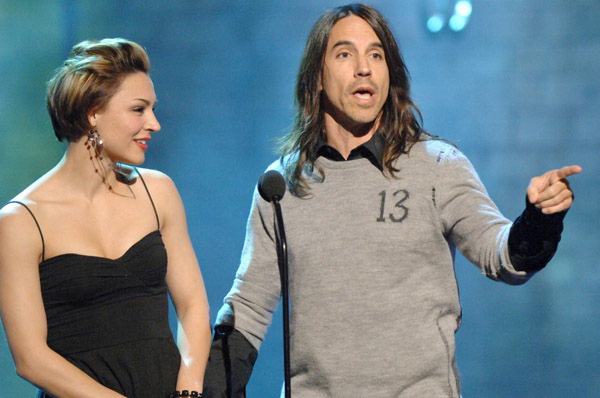 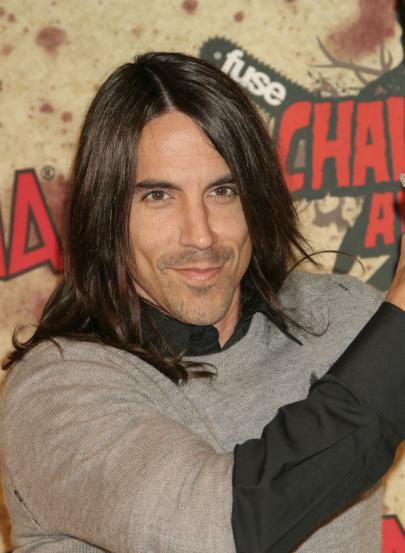 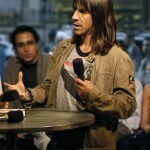 Kiedis accepted the award for ‘Killer Video’ for RHCP’s DANI CALIFORNIA promo from Arielle Kebbel and The Used. 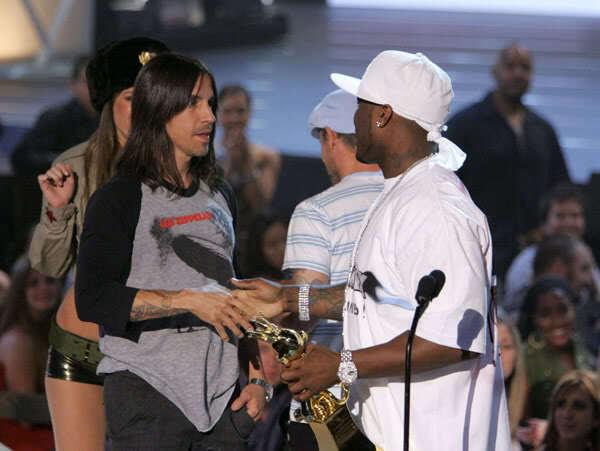 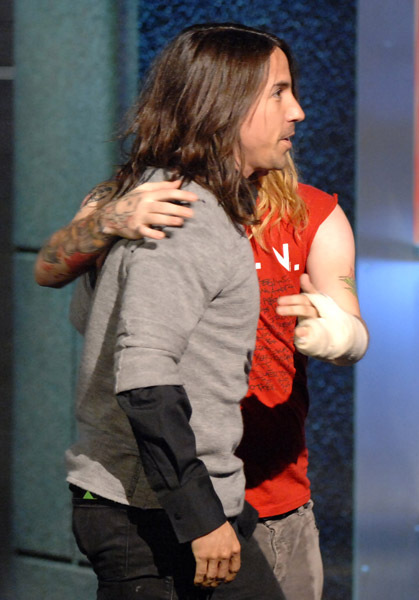 While showing off for the press Kiedis threw his award into the air and it landed on his arm making it bleed; Kiedis then licked the blood off his arm! 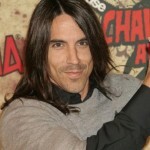 Together with actress Samaire Armstrong, Kiedis also presented the award for ‘Relationship From Hell’ to Sheri Moon Zombie and Bill Mosesley for the film The Devil’s Rejects.